For all wine lovers, Maribor, the centre of Slovenia’s Styrian region, is the place to be. The influence of the wine tradition can be felt throughout the city. On one hand the sunny wine-growing hills stretch all the way to the Austrian border and beyond, while the vineyard-covered Pyramid hill, on the other, rises directly above the centre of the town. In the city centre and around, there are several wine shops and cellars where one can learn all about premium quality Styrian wines and their makers, and relish in the excellent local cuisine. Thus, when in Maribor, a congress guest should join the Maribor Wine Road/Path – a professional guided city tour of the city’s wine culture. The Benedictine Dveri Pax – one of the most modern wine cellars in Slovenia – stores 50,000 (out of a total of 300,000) litres of wine in oak barrels. The Dveri-Pax Wine Cellar continues an 800-year tradition of Benedictine winemaking. The superior quality of their wines is well recognized from the most respectful international wine evaluations, such as Decanter in London, AWC Vienna and many more. Another of Maribor’s unique wine infrastructure is the old historic water tower that stores wine bottles and represents a completely different type of wine store. The ground floor of this unique pentagonal-shaped Renaissance fortification, which once defended the walls of the Styrian capital, has been transformed into a modern winery. 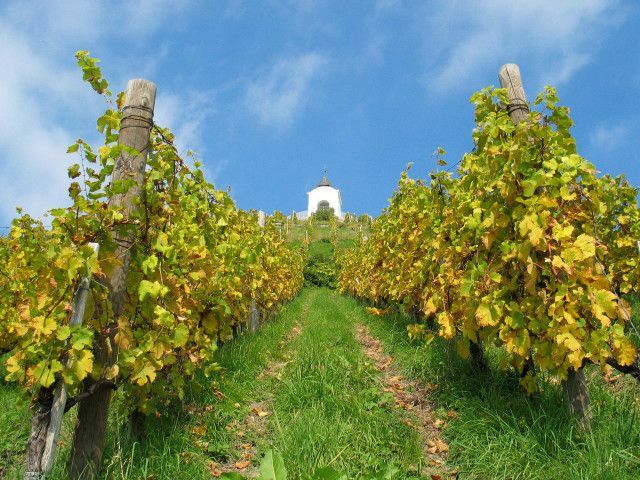 Maribor is also well known for one special worldwide attraction – the oldest vine in the world. The Blue Franconia, certified as being more than 400 years old, is the Guinness record holder for the oldest noble vine in the world still bearing grapes. The vine, also a protected natural monument, grows at the front of a long solid two-storey old town house, named The Old Vine House that is situated near the serene Drava River. The Old Vine House, built in the 16th Century, entices many tourists from the most remote parts of the world; in the past decade it has been visited by more than half-a-million people. Each year no more than a hundred bottles are filled with the wine from the oldest vine in the world. Queen Elizabeth II., Pope John Paul II. and the former USA president Bill Clinton are some of the recipients of this unique wine. The incentive can be taken either by bicycles or by bus. However, there is an additional and very special and sustainable way of taking the tour: with electric bicycles.